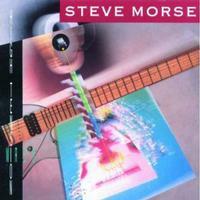 This is Steve Morse's first real solo outing, and it is still considered one of his very best albums. There is a bit of that Dixie Dregs feel to it but that is only natural. Still, he also clearly got away from that approach on plenty of it, as well. After quitting music and deciding to work as an airline pilot, something sparked his interest again. He came back strong and very convicted in his ambition to continue his musical career. And this started all of that path which has led him down some interesting allies to this day, including a well received stint with Kansas before more solo work that finally led to joining Deep Purple. I have to rate this up their with some of the best guitar playing I've heard, even though some of these tracks found better homes later through songs on which he had more time to work. This is a thing of beauty not unlike many of Morse’s other creation, but it holds its own in his catalog. All of the usual elements that make Morse the elusive artist he is, can be evidenced here. The man seems to have more finesse in his little finger than most dare dream in whole. This is one of the finest gems on offer here. This is awesome! The sheer divine approach to the arrangement is its strength more than anything else, as it plays like the homecoming it basically is. Imagine you just came home from a long trip, the war or some other long time away. This is what anyone would like to hear on arrival. In fact, it's almost too good to describe. This is where a review can spoil things for the listener, so just be prepared for majesty. Just having “country” in the title instantly grabs any Morse fan with intrigue, but this has little to do with that besides a flavor. While not one of my favorite Morse cuts, this would still turn any curious heads. This is another killer here, as Morse obviously has a Celtic factor in a lot of his songs. Still, over and above that this is a magnificently structured piece that belongs at the top of his catalog, without a doubt. This holds a weight not too different from “Country Colors,” but it is a much different tune altogether. Were I to pick from the two, this would be the winner. Still, this is one of the two less intensely interesting tracks on offer. There is still nothing lost in the them. It's just that they're surrounded by such standout numbers it's rather easy to point them out as being the weaker bunch of the set. One of the more eclectic numbers, although it doesn't jump out at me either, still it had much more appeal now than when it was released. There isn't a lot else to be said, as I just find it less inspiring than some other tracks here, but better than the previous two mentioned in that aspect. This is another fun arrangement that goes incredibly well with 'Highland Wedding,' and another stand out here somehow, even though it doesn't compare to what's next. This is absolutely out of sight, and like several numbers here it competes with the best Morse has ever recorded. This is a lightning fast number, which the title cleverly suggests, and speeds as high as they get for any comprehensive virtuoso, let alone their slower musical brethren. “Sheer genius” is the only way to describe the chops on display. This is easily in my Morse top ten tracks of his entire career. This is a nice little number that could use a few more minutes devoted to it. Other than that, it's just another standard album track of which Morse has very few that don't appeal. From the cool title to the subtle arrangement, this is a soothing piece of ear candy. Acoustic bliss is shown here and then some, as one of the more intricate and quieter tracks takes things out. This is yet another beautiful exercise that makes a song and it includes the kind of magic one expects from Steve Morse.